School has officially started back, and that can only mean one thing - football season is back! Time for trash talking, team watching, and tailgating. We can help you with that last one. 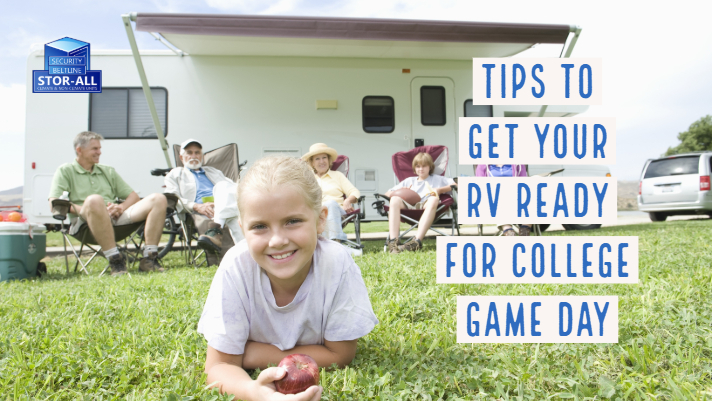 Here are four tips to getting your RV out of storage and ready for game day. Are you really a fan if you don’t have your team’s logo on everything you own? Wave your team’s flag proudly outside your door, hang a banner or garland of your team’s colors across your RV or canopy, set up lawn chairs and tables with the mascot on them, and rest easy knowing that the other team will have no doubt where your loyalties lie. Unless you’re a house divided, then maybe you have a decor-off to see who can show their team’s colors the proudest. Deck your RV out with games of your own to entertain yourself, your guests, and the new friends you make throughout the day. Set up bean bag toss, ladder ball, and football toss outside your RV to be game central. Even your games can support your team’s colors. If you are a house divided, pit your two teams against each other all day long and see who comes out more victorious by the end. All day partying requires replenishment. Stock up on chips, dip, hot dogs, hamburgers, sodas, water, and whatever else your pre-game rituals require. Make sure that you have plenty of ice handy to keep your refreshments cold. Don’t forget the plates, napkins, tableware, and cups! For a little more house divided fun, break into your respective teams and plan your own food for the event. See who the best host is by whose snacks get devoured the fastest. It’s not game day without the big game. Kick back in your team lawn chair and watch the game go down on your own outdoor entertainment center. Make sure your RV is outfitted with the proper satellite channels, the perfect sized television, and an excellent sound system. Be prepared with blankets in case the temperature dips so that you and your friends stay comfortable. Or if you’d rather, watch the game inside. It is an RV after all. Your RV is decked out in team colors, ready for fun, full of food, and prepared for the main attraction. Before the day begins, be sure to check that your power is working properly, that your generator can handle the extra work and that your refrigerator is turned on. Go Team! 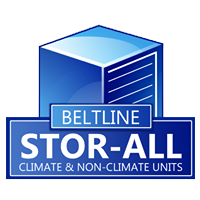 If you are looking for an RV, we have units from small to large, that are climate controlled. You may only need us for a few months, or you may find that our units fit your long-term plans. Give us a call or come see us, and protect your treasures!